Are you in South Africa? Do you have a genuine passion and curiosity about technology? Are you a creative thinker and desire to work hard alongside some of the greatest minds? This is for you. Microsoft Middle East and Africa internship program is asking you to apply if you fit the description above. The internship program offers young enthusiastic people an exciting experience with Microsoft. Applying learnt knowledge, learning and developing new skill sets on the job. As we continue to evolve, the opportunities for you to stretch your existing skills, develop and discover new ones will only grow. Your thoughts, ideas and experiences will all be welcomed, valued and rewarded. You will benefit from being part of a business that’s changing the way the world works, lives, plays and learns. We’ll give you real responsibilities on real-world projects. Projects that will touch people’s lives across the globe. You’ll also get access to a host of training programs and a worldwide network of colleagues and industry experts. All of which will allow you to take your career in whatever direction you choose. There are three categories of opportunities available to apply to. Opportunities in Marketing, Human Resource Associate and Technology Specialist Intern. Read on for the requirements and click to apply. We strive to grow the next generation of Microsoft leaders by providing a best-in-class internship experience for students and fresh graduates. Through our program, you will be empowered to orient to the Microsoft environment, grow skills to support professional success, and accelerate your ability to have strategic impact for the company and our customers. 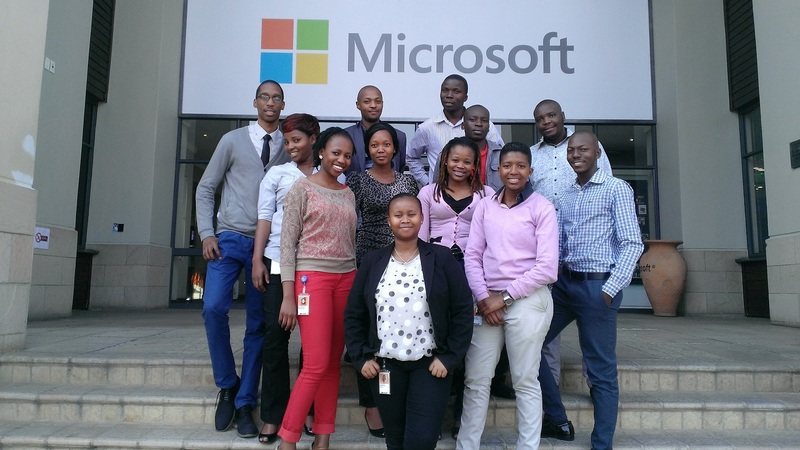 The Microsoft West East & Central Africa (WECA) HR team provides strategic, operational and support services for Microsoft HR programs, with primary areas of focus including customer support services, core HR operations (HR data administration, onboarding, leave administration, staffing, learning & development, etc. ), business process optimization, HR online solutions, and project management. The effectiveness of WECA HR is critical to ensure consistent employee and manager experiences company wide. The HR Associate is a member of the WECA HR team and plays a key role in the delivery of high quality HR Services and Support to business leaders, managers and employees, as well as to the HR Community. The HR Associate plays a crucial role in supporting WECA HR team by coordinating project based activities and initiatives across wide range of countries with HR Operations Support team. The Associate reports through the WECA HR team, and is responsible for all aspects of HR generalist work.. To be successful in this role, the individual in this position will need to excel at: operational execution, customer service, customer advocacy, analytical problem solving, communications, continuous improvement, cross boundary collaboration, and knowledge sharing. Strong co-operation and collaboration within HR Operations and HR Stakeholders it critical. It’s a new era at Microsoft, over the past year we’ve shifted our focus to devices and services, enabling us to act faster to changes in the market. And we’ve embraced a joined-up way of working, one that gives our customers a unified experience, no matter who they talk to or what products they use. As we continue to evolve, the opportunities for you to stretch your existing skills – and develop and discover new ones – will only grow. Your thoughts, ideas and experiences will all be welcomed, valued and rewarded. And you’ll also benefit from being part of a business that’s changing the way the world works, lives, plays and learns. We’ll give you real responsibilities on real-world projects. Projects that will touch people’s lives across the globe. You’ll also get access to a host of training programmes and a worldwide network of colleagues and industry experts. All of which will allow you to take your career in whatever direction you choose. At Microsoft, we look for highly energetic people with initiative and drive; people who are smart and practical in their area of expertise. Our current interns came from a variety of tertiary disciplines including Sales and IT. While grades are important, the most important attributes we look for in an intern are genuine passion and curiosity about technology, creative thinking and the desire to work hard alongside some of the greatest minds in the industry. This programme is designed to give the new graduates the opportunity to use their skills and knowledge to make a valuable contribution to our business whilst developing employability skills and gaining a hands on experience, you could spend your time as an intern working on any number of projects in addition to your day-to-day role. You’ll have the opportunity to get involved in a number of events, work on projects that will test your limits and maximize your skills, and gain the knowledge and insight you need to build a successful career. All our Interns will receive a monthly salary and on top of this gain an opportunity to apply for full time jobs and apply for our MACH program. WHAT IS THE DURATION OF INTERNSHIPS? Our internships generally last over a period of 9 – 12 months on a full-time basis. – Recently graduated from University with Bachelor Degree. – Have excellent verbal and written English and communication skills. – Passionate about the IT industry and the success of Microsoft. We want the application process for our Intern programmes to be simple yet thorough. the selected applicants will go through several different stages, and each stage will become a little more challenging, so that we can identify the people who really stand out and to identify whether you have the strengths and capabilities that we are looking for in our Interns or Graduates. During the interview and application process we may seek for further clarification on information provided to us on the application form in later stage. We get several applications each year, so take time to consider why we should hire you. Before submitting your application, form consider why you want to work for us, what you are passionate about, what you are good at, and how you can really make a difference to our business. If you’re still eager to create a more exciting future, we are welcoming you to join unforgettable learning journey with Microsoft team. Excited about this? Give it a shot and let us know what you think about the offers.